2016 proved to be a hugely impactful year for the Illinois Restaurant Association Educational Foundation (IRAEF) and ProStart®, with highlights including a six-figure endowment from the Charlie Trotter Culinary Education Foundation (CTCEF), the popular annual online auction at Chicago Gourmet, and many other successful initiatives and programs. Don’t miss one of the largest IRAEF fundraisers of the year at the 39th Annual Chef’s Table restaurateurs for education event on Friday, November 4 at Morgan MFG, as we celebrate and honor the food service industry. The mission of the Illinois Restaurant Association Educational Foundation is to build the Illinois hospitality workforce through career exploration, workforce development, and scholarships. Since its founding in 1973, the IRAEF has awarded $2.6 million in scholarships to deserving students pursing Culinary Arts and Hospitality Management in college. A cornerstone program of the IRAEF is ProStart® - the two year, nationwide program that develops the best and brightest talent into tomorrow’s restaurant and foodservice leaders. In Illinois, ProStart® is administered by the IRAEF to thousands of students at 62 schools throughout the state. From culinary techniques to management skills, ProStart®’s curriculum provides real-world educational opportunities to build practical skills and a foundation for college and a career in the foodservice world. This year, the IRAEF awarded over $175,000 in scholarships to 70 students pursuing post-secondary culinary and hospitality management degrees at 27 colleges and universities. At Chicago Gourmet, the annual online auction raised tens of thousands benefiting the IRAEF to provide scholarships next year. Throughout the year, over 140 students were hired by notable Chicago restaurants including Nico Osteria, Piccolo Sogno, Seven Lions, Phil Stefani’s, O’Brien’s, Park Grill, Pastoral, and Kilwins. Today, the ProStart® program reaches over 115,000 students nationwide and 4,000 students in Illinois. From field trips, career camps, college preparation and frequent speakers, students have direct access to hands-on job training, mentoring, shadowing opportunities and internship roles. These real life experiences are the best way to prepare students for careers in foodservice and hospitality industries. Looking for extra staff around the holidays? As we approach the holiday season, consider hiring students from the ProStart® program to assist in your operations. The IRAEF relies on committed and enthusiastic restaurant partners to provide resources and opportunities to foster the next generation. We encourage you to be a part of this rewarding and beneficial program. Save the date for the 16th Annual Illinois ProStart® Invitational on Saturday, March 4, 2017 at McCormick Place! Each year, the invitational welcomes high school culinary and hospitality management teams from across the state to vie for the chance to compete on a national level. For more information about how you can get involved locally in the IRAEF’s year-round efforts, please contact Kayla Hawkins at khawkins@illinoisrestaurants.org or (312) 380-4117. Click here for more information about Illinois Restaurant Association Educational Foundation. 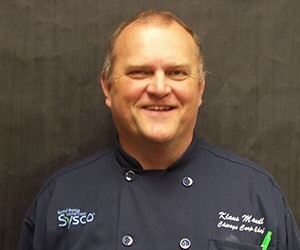 This month, we chatted with Klaus Mandl, Corporate Executive Chef and Business Resources Specialist for Sysco Chicago about his worldly chef experiences, youth mentorship, and tips for aspiring culinary professionals. After my culinary schooling I worked for Hilton International in Basel, Switzerland and Vienna, Austria, for the Atlantic Beach Hotel in Grand Bahamas, the Ritz Carlton in Boston, the Arlington Park Hilton, Hyatt Regency O’Hare, Drake Hotel Oakbrook and Bon Appétit Management Company. Currently, I am the Corporate Executive Chef and Business Resources Specialist for Sysco Chicago. Sysco is the title sponsor of the annual ProStart® Invitational. Explain your roll within the event, and why the competition is important. During the annual ProStart® Invitational, I am one of the culinary judges who evaluates, tastes and gives feedback to the competing students. This event (and all the weeks and months leading up to it) is an important part of their development in the culinary world, and it also gives them the opportunity to really determine if it’s the right path for their future. And for some of them, it gives them the opportunity to earn scholarships and get recognition from culinary colleges from around the country. I was very fortunate when I was young that I had mentors in my life that helped me grow and spent time teaching me the right things. That is one of the main reasons I am involved in projects like ProStart®, to work with young individuals and help them achieve their dreams. I try to stay in touch with some of the students I work with directly even after they go on to college. As a matter of fact I just recently helped one of those students land a job with one of the best restaurants and chefs in town! What is your biggest reward working with students overall? The biggest reward I get is seeing those young individuals respond to the challenges I lay out for them and then coming through with hard work and love and appreciation for the food they work with. To work in the food service industry is not an easy job or in most cases, a high paying one, so in order to really succeed in it, it has to be a way of life for them. And in today’s society this is not easy for young people to do. What do you see as the most valuable resources/services the IRA provides? 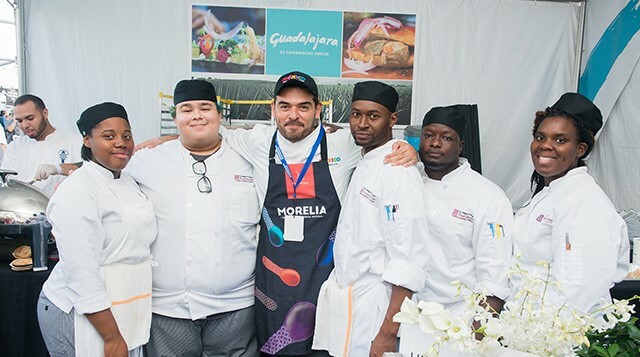 The best value I see that the IRA provides is connecting these students with chefs through culinary events like ProStart®, Chicago Gourmet, Hamburger Hop and so on. Working with those chefs at an early age and seeing the dedication they have for their profession as well as the love they show for the food they prepare provides the students with a good foundation. My advice would be to make sure that this is the right career path you want to take. Take an intern job at a restaurant for a summer to see what it really is like working in a kitchen before you go and spent a lot of money on college. As for me, I love what I do, and I have been cooking for the last 30 some years. If I had to do it again, I still would choose to become a chef. You have to make sacrifices, however the rewards are great. Everybody needs to eat so why not create great food and make people happy. Cook County Board President Toni Preckwinkle and the Cook County Board of Commissioners are currently considering a penny-per-ounce tax on soda and sugar-sweetened beverages. Join the IRA and the Cook County Against Beverage Taxes Coalition and stand up against this new discriminatory tax. 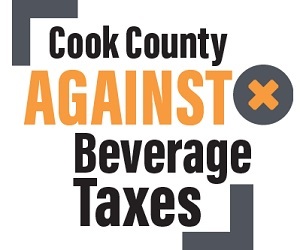 The Cook County Against Beverage Taxes Coalition is a group of concerned citizens, businesses, and community organizations actively opposing any new taxes on everyday items like soft drinks (regular and diet), juice, lemonade, teas, sports drinks, flavored waters, and energy drinks. Today, a typical 2-liter bottle of soda costs $0.99 and contains 68 ounces. Under Cook County’s proposal, a 2-liter bottle of soda would be taxed at 68 cents – an increase of up to 68% in total price. Such a tax would raise families’ grocery bills, boost costs for restaurants, and eliminate jobs in the beverage industry. “The last think we need is policies that will slow growth, drive businesses out of the county, and force businesses to raise prices where it hurts the most: in the wallets of Cook County families. Where do we go next? Do we start taxing the sodium in soup?” said IRA President & CEO Sam Toia in a recent Chicago Sun Times article. The IRA opposes this regressive tax on Cook County restaurants and families, and we will continue to work with all stakeholders to defeat the tax over the next several weeks. Click here to send a letter to your commissioner and get engaged as a member of the Cook County Against Beverage Taxes Coalition. If you’re interested in attending or speaking at a Cook County public budget hearing to share your concerns about the proposed tax, email Matt Quinn at mquinn@illinoisrestaurants.org. The next hearing is on Monday, October 31 at 9:00 AM in Room 560 of the Cook County Building, 118 N Clark Street in Chicago. The beverage market is changing and more competitive than ever. Consumers want variety, fun, and more ways to engage. Pressures are mounting to save time and space. That’s why there’s Coca-Cola Freestyle®. Here are five reasons you should consider Coca-Cola Freestyle®. The award-winning Coca-Cola Freestyle® drives total outlet profitability by offering consumers more of what they want from beverages when they dine out... quality, variety, choice, and fun. According to The Coca-Cola Company and third-party Coca-Cola Freestyle research, outlets with the dispenser see a three percent median increase in traffic, and a five percent median increase in total beverage incidence. With Coca-Cola Freestyle®, customers choose 48 percent more from new and unique beverage brands that are not readily available elsewhere. Because the high-tech Coca-Cola Freestyle allows drink lovers loads of choices — more than 100, including 70 low- and no-calorie options — people seek it out. Sixty-seven percent of those surveyed by Consumer Tracker say they go to restaurants that have the dispenser because it offers something they can’t get elsewhere. Fifty-four percent say they go out of their way to visit restaurants that offer Coca-Cola Freestyle, according to Consumer Tracker research. The Coca-Cola Freestyle app syncs consumers’ phones directly to your dispenser. Fans create their favorite drink mixes, save the recipes to the app, and then use the app to get the same drinks on return trips. The app also pushes to limited-time promotions, including sweepstakes and exclusive specialty drink mixes. The app locator leads thirsty customers directly to your door — what more could you ask for? Coca-Cola Freestyle innovates, saves storage space, and makes it easy for crews to maintain. These dispensers leverage technology to simplify routine operational activities like changing an ingredient package. Plus, the typical customer is able to significantly reduce the amount of backroom space dedicated to its beverage system. 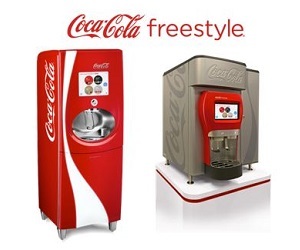 Not only is the dispenser built with multipatented technology, Coca-Cola Freestyle’s data connectivity capability provides analytics, consumption data, component performance, ingredient ordering, remote diagnostics/repair information, marketing engagement and remote content updates. 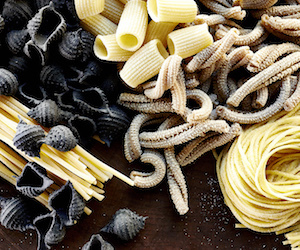 Nico Osteria offers a warm and inviting take on Italian seafood and fresh pastas, made in-house daily by James Beard-nominated Chef de Cuisine, Erling Wu-Bower. Located inside the Thompson Chicago and nestled in the heart of the Gold Coast, Nico Osteria and the adjacent Salone Nico play the unique and simultaneous roles of go-to neighborhood restaurant, hotel dining destination and world-class lounge. While guests can enjoy Nico Osteria’s masterfully prepared crudos and rustic Italian fare throughout the year, there’s something especially distinct about the restaurant’s daily, changing menu when the holiday season approaches. And as Chicago restaurant goers are well aware, it’s never too early to make Thanksgiving brunch and dinner plans! Nico Osteria is now accepting reservations for Thanksgiving Day 2017 (November 24), with daily breakfast offerings available from 9 a.m. – 1:30 p.m. During breakfast, guests can enjoy the signature Nico Granola, Smoked Salmon with Whipped Ricotta and a rotating selection of baked goods from Pastry Chef Leigh Omilinsky. For Thanksgiving dinner, Nico Osteria will be offering a prix fixe menu alongside a la carte options between the hours of 2-9 p.m. Guests may contact the restaurant directly with questions or reservation requests, and may also reserve their tables online. Chef de Cuisine Erling Wu-Bower has also been a committed mentor to many IRAEF students, fostering hands-on and real world development.